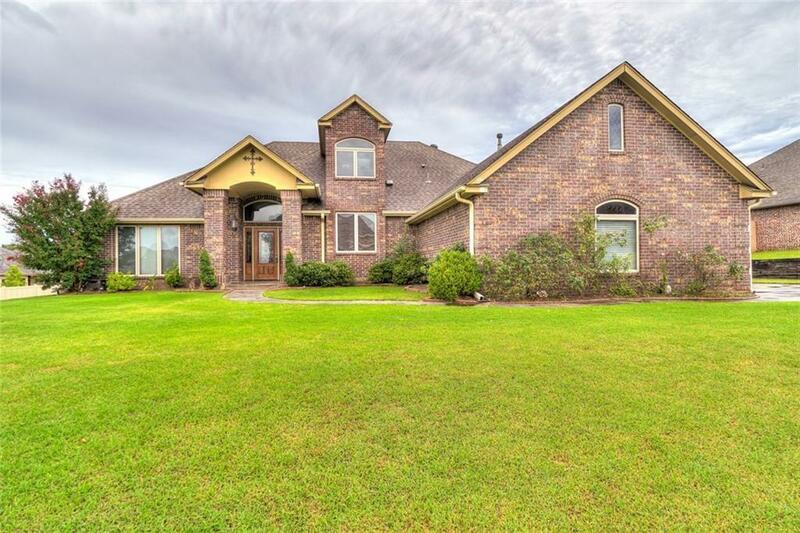 Beautiful, custom home in Woodsong. Stunning entrance leads to open living area with gleaming hardwood floors, lots of natural light, fireplace, and plenty of space for living and dining. Kitchen has double ovens, custom cabinets, granite countertops, and cheerful windows. Split floor plan with master suite that is sure to impress! Tray ceiling with door that leads to back patio. Master bath has a whirlpool tub, walk in shower, and Australian closet. Upstairs is a huge bonus room that has an attached full bath; could be used for 4th bedroom, second living area, or game/media room. Make your appointment to see this one today!